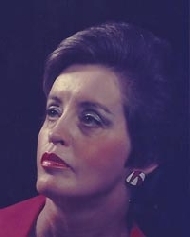 Anne Claire Beliveaux obituary. Carnes Funeral Home. Anne Claire Beliveaux passed away peacefully on June 2, 2018 in Houston. Anne was born on November 16, 1941 to Robert L. Beliveaux, Sr. and Doris J. Shettlesworth in Colorado City, Texas. She grew up on Galveston Island and graduated from Dominican High School in 1960. Anne spent her career as an administrative assistant in the oil and gas industry, specializing in the finance and tax departments. Her professionalism, loyalty, and outgoing personality made her an asset and joy to her friends and colleagues at Huthnance Offshore Oil Corporation, Enron Corp, and Southern Union Gas. Anne was a proud Texan who loved its culture, music, and history, and reserved a special fondness for Galveston where she spent many weekends with family and friends. An avid sports fan, she followed all of the Houston teams closely, especially the Astros. She was preceded in death by her parents, brother, Robert L. Beliveaux II, niece, Lily Grace Salehi, and beloved rescue poodle, Gigi. She is survived by her sister-in-law, Bess Beliveaux, nieces, Nissa (Trey) Picard and Heather (Nozar Salehi) Beliveaux, and nephew, Ian Beliveaux. Anne is also survived by her great-nephew James Picard and great-niece Sophia Salehi. In lieu of flowers, please consider making a donation to Houston Hospice.